WILL THE BOLD THEME HELP EK LADKI KO DEKHA TOH AISA LAGA? 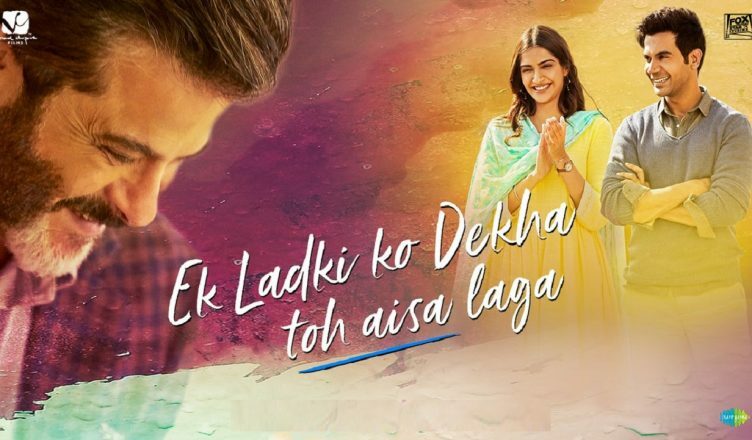 Watching the first trailer of Ek Ladki Ko Dekha Toh Aisa Laga was a pleasant experience. At first, it feels like yet another Hindu-Muslim love story. However, the film drops some strong yet subtle hints that there’s more to the film than meets the eye. In no time, it becomes clear that it’s a homosexual love story! Bollywood has attempted such films in the past but many were them were comic capers. Then there were films like Fire, My Brother Nikhil etc but these were very niche fares. Dostana was a big film but there, the characters merely pretended to be gays. Kapoor & Sons was quite hard hitting as it was arguably the first mainstream film where a lead character was not straight. Although there are no complaints as such, Kapoor & Sons however never showed any confrontation happening in the film because of this aspect, except with the character’s mother. In this regard, Ek Ladki Ko Dekha Toh Aisa Laga goes a step further. Here it seems that the family goes through a major trauma when the lesbian family member comes out. This can make for a fine watch. Ek Ladki Ko Dekha Toh Aisa Laga’s star cast has also grabbed eyeballs. It is the first film of Sonam and papa Anil Kapoor together as actors. Besides, it also stars Rajkummar Rao and Juhi Chawla. The film is produced by Vidhu Vinod Chopra and directed by her sister Shelly Chopra Dhar. Shockingly, the buzz for Ek Ladki Ko Dekha Toh Aisa Laga is negligible. The unconventional trailer didn’t really got the traction that was expected. Also, the film got into a bit of a controversy as Rajkumar Hirani initially was also a part of the film as producer. But he was accused of sexually harassing a crewmember during his last film, Sanju. Vidhu, as a result, got Rajkumar Hirani to step down from this film. The story broke a few weeks ago but it didn’t affect the film negatively. At the same time, it didn’t even give the film the much needed publicity. Ek Ladki Ko Dekha Toh Aisa Laga thankfully is a solo release. 2 small films – Amavas and The Fakir Of Venice – were to release tomorrow but they got pushed to February 8. This is because Sonchiriya was to release on February 8 but it got delayed by almost a month. Hence, next Friday and these two films took that date. The last week’s releases – Manikarnika – The Queen Of Jhansi and Thackeray – have underperformed. And Amavas and The Fakir Of Venice are hardly competitions. So it has all the time till Gully Boy’s release to score. But looking at the hype, the opening might be very poor, in the range of around Rs. 2-2.50 crore. If the word of mouth is positive, the collections can dramatically increase from Saturday and then the film can sustain well. We still have a long way to go when it comes to A-listers tackling homosexuality in films. Ek Ladki Ko Dekha Toh Aisa Laga is a right step in that direction and here’s hoping it proves to be a success! WOULD YOU LIKE TO SEE AND WHY? DO LET ME KNOW!